Home > 2017 > DARTSLIVE > Your favorite “ONE BULL” to liven up the game!! 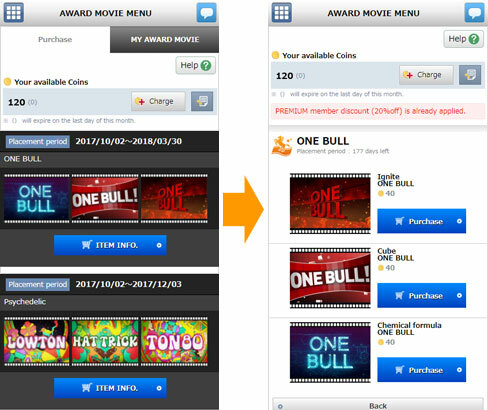 “ONE BULL” Award Movies will be available for purchase from Mon Oct 16. Your BULL rate will jump with your favorite award movie!! More new Award Movies to come! The original Award Movies will get you ahead of your rivals!